Home>About Us>Certifications>What is FIPS 140-2? The National Institute of Standards and Technology (NIST) is a non-regulatory agency of the United States Department of Commerce whose official mission is to: “Promote U.S. innovation and industrial competitiveness by advancing measurement science, standards, and technology in ways that enhance economic security and improve our quality of life.” NIST issues Federal Information Processing Standards (FIPS) that describe document processing, encryption algorithms and other information technology standards for use within non-military government agencies and by government contractors and vendors who work with the agencies. FIPS 140-2 is a set of strict standards on which cryptographic-based (encryption) security systems must comply when protecting sensitive data in U.S. government agencies and departments. Why is FIPS 140-2 Certification Important? Data security is one of the most pressing concerns faced by government. Sending files such as email or FTP do not meet the FIPS 140-2 standards. If you exchange files with the federal government, it is critical that your file transmission is encrypted with a FIPS 140-2 compliant encryption module. In the last few years, FIPS 140-2 is becoming a general best practice outside of the government sector and throughout the world. The amount of data (much of which contains confidential information) that is generated by government continues to grow. At the same time, potential risks for a cyber attack against such data continue to increase. Thus, all data, whether in-transit or at-rest, must be secure, which can be accomplished using the encryption modules in bTrade’s managed file transfer solutions that have been certified under FIPS 140-2. 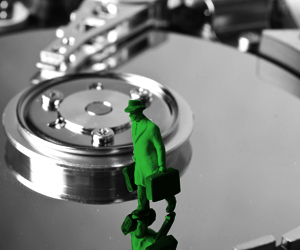 If you want bTrade’s data security experts to analyze your infrastructure to determine how best to protect your valuable and confidential data, please contact us at info@btrade.com.